Over 25 years, Fairtrade has shown its power to transform lives. Join us in calling for Sainsbury's not to water down its committment to Fairtrade. People buy Fairtrade because it has become the gold standard for ethical trade – synonymous with quality and rigorous standards, widely endorsed and understood across the World. It’s this appeal that means that Fairtrade should be a no-brainer for businesses. Sainsbury’s is UK’s largest supermarket retailer of Fairtrade products. But over the past year, it has seemed intent on smashing up its own well-earned reputation as a supporter of Fairtrade, scrapping the label from its own-brand tea, and replacing it with its own ‘fairly traded’ label. n the name of adding a few pennies to its profit margin on a handful of products, the supermarket is alienating customers and risks undermining trust and the integrity of Fairtrade in the UK. 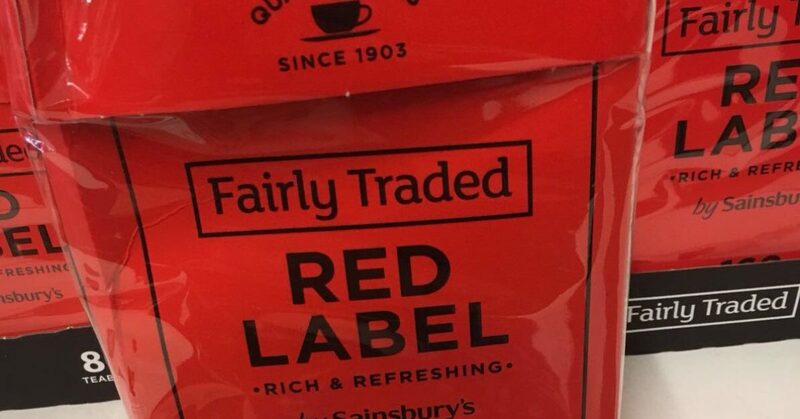 Call on Sainsbury’s to reverse this damaging step, and to renew its committment to real Fairtrade.